Epicuren Skin Care Products a system of enzyme skin care made up of water-based fresh enzymatic-infused gels and lotions that go far beyond the spectrum of normal skin care. The word Epicuren comes from the Latin words Epi and Curen which mean to heal or cure the skin. Not only does it diminish wrinkles, it erases them. It lifts, tightens, increases elasticity and density in the skin and gives it a youthful glow. Research has shown that Epicuren literally changes the skin at the molecular level. The Epicuren line include products for all skin types: dry, sensitive, mature, sun damaged, acne-prone, combination, young skin and men's skin. A unique blend of Epicuren skin treat emulsion and aromatherapy oil. This blend makes the perfect moisturizer for after shower and after bath. 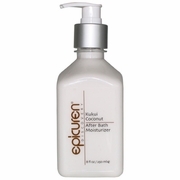 This product is the personal use version of Epicuren s 50/50 Professional Massage Oil/Lotion Formulation. 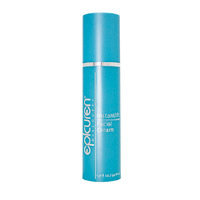 Epicuren Clarify Polish Mask is a replacement for the Benzoyl Peroxide Scrub. For normal, oily and congested skin types. Stimulate your body s metabolism with our Green Tea & Ginger Sea Enzyme Mask. Balancing the body s yin and yang with Ginger root it invigorates the mind while Seaweed provides the most complete source of nutrition.